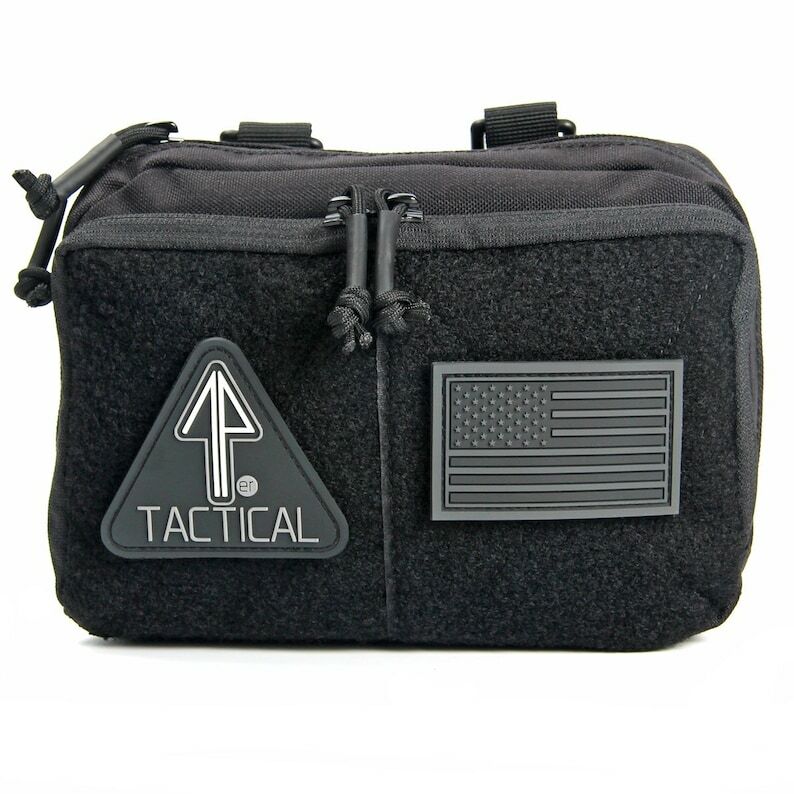 The Tactical Admin Pouch gives you a place for all of the little things that normally float around your larger packs. Maps, phone, flashlight, keys, jackknife...whatever gear you need to access in a hurry has a place in the Tactical Admin Pouch. As an added benefit, the loop-fastener frontside patch panel gives you a place to show off your PATCH JUNKIE patches! Use the MOLLE straps to connect this to any MOLLE-ready bag! - Materials: 600D Puncture & Water Resistant Polyester. Ballistic Nylon Straps. YKK Zippers.